MTR® Automated Hourly Rounding has saved our customers millions of dollars by reducing never-events, improving teamwork and morale, advancing patient care to another level and elevating patient safety and satisfaction. Transform Hourly Rounding into a purposeful, patient centered process. The value of hourly rounding is in proactively meeting patients' basic needs (pain, potty, position and possessions, etc.) to assure they do not develop pressure ulcers, suffer, or fall. The challenge of hourly rounding lies in assuring it is done for every patient, every time. The proven solution is to give up assignment based rounding on the clock and switch to a purposeful rounding process based on patients' needs that includes the whole care team. 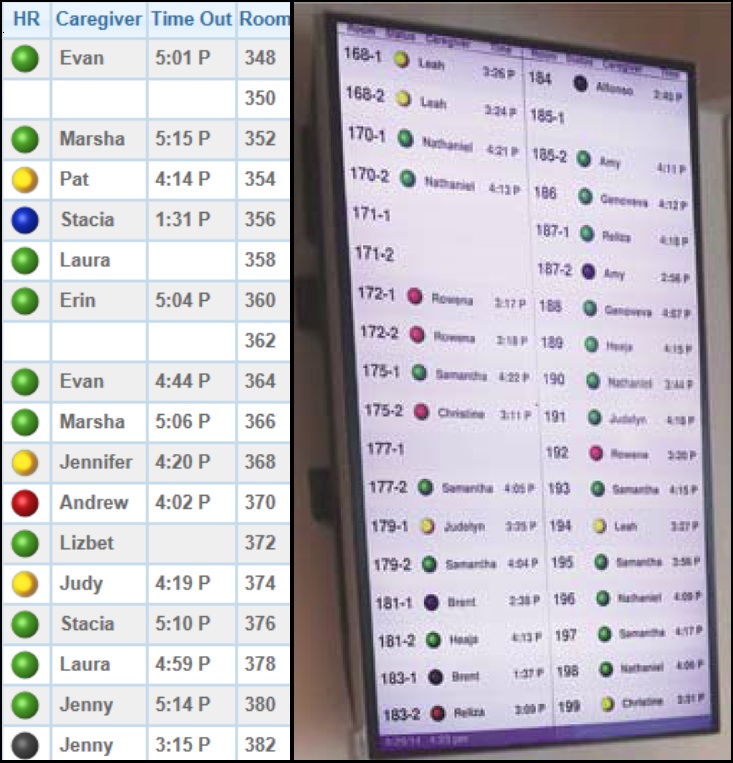 MTR® Automated Hourly Rounding is the only system that visibly communicates rounding status to all caregivers from multiple locations and does so without disruption of workflow or patient care. The whole team works together and assures every patient is seen on a regular basis. Morale is improved knowing everyone has each other’s backs and their patients will never be missed. 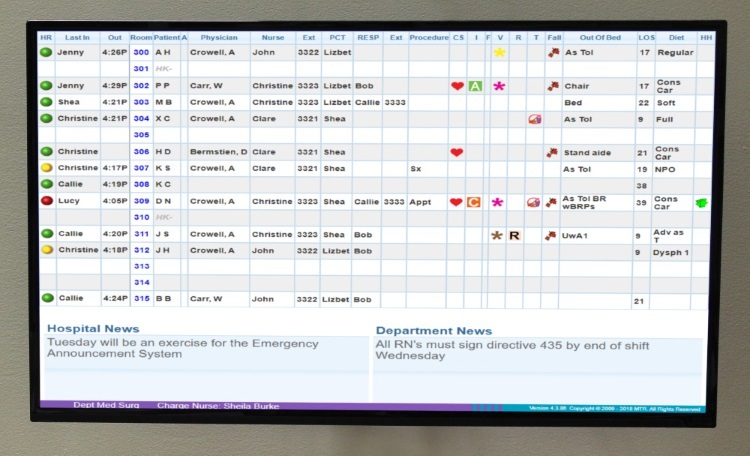 Visual cues on all MTR® Whiteboards, hallway displays, patient room communication boards, and hospital workstations inform care team of the rounds that are done and those that need doing. 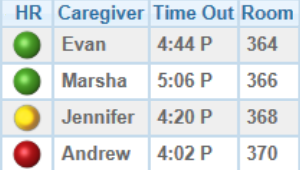 Rounding-only boards display rounding status and can include one or two other key data points such as caregiver assignments or current patient appointments. 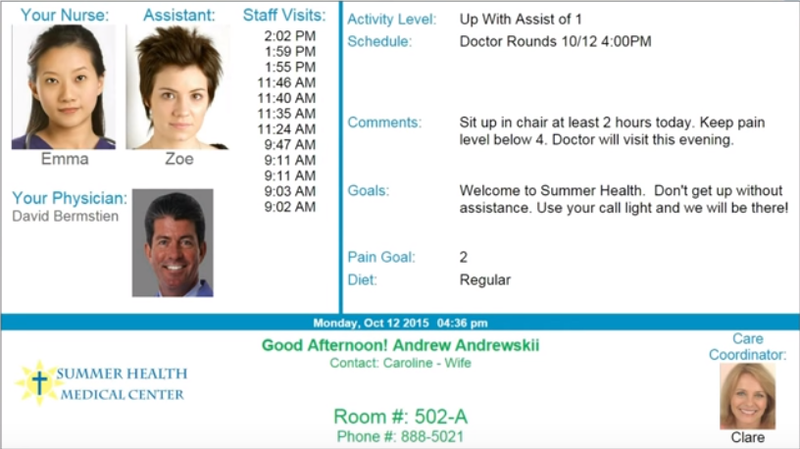 Care visits in patient rooms are stored and displayed electronically and paper logs, check sheets, and end of bed reports are eliminated. All qualified caregivers get full credit for time spent at each patient's bedside, regardless of assignments, ensuring the team is confident and backing each other up. 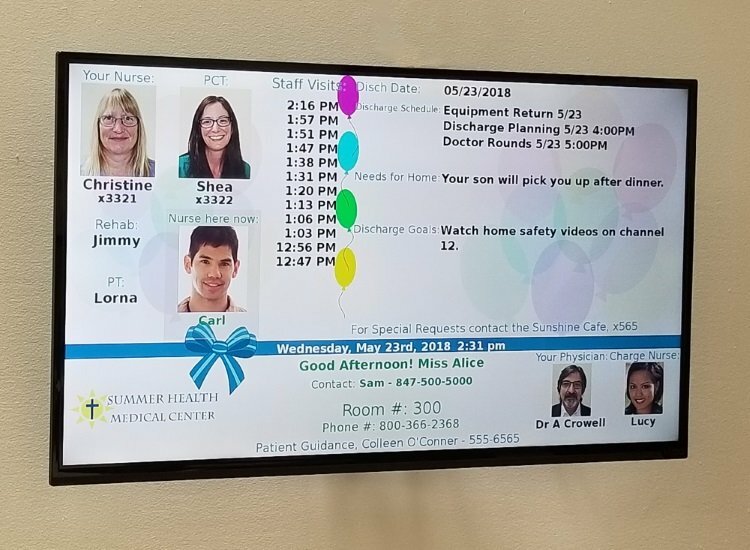 Patients are informed via “who’s here now” technology that even if the caregiver in their room is not someone they expect it is someone they can name and trust. Patients and loved ones are comforted knowing the assignments, knowing who is in the room, and knowing there is a consistent history of good care demonstrated by reliable visits from qualified staff, all shown on the patient room whiteboard. 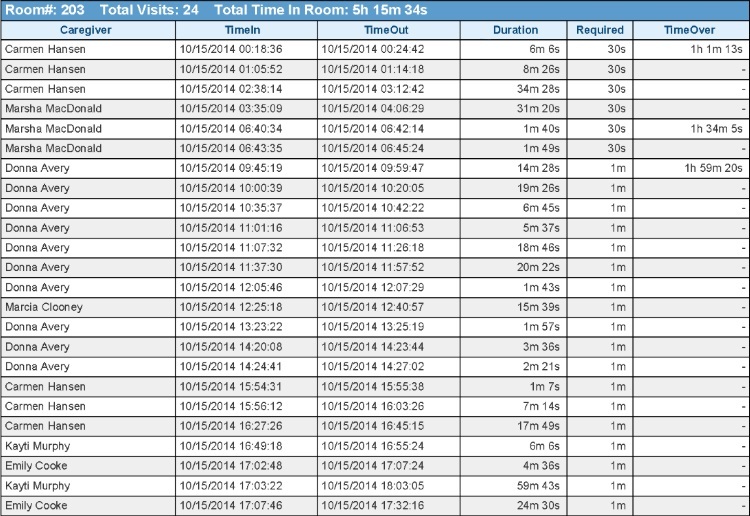 MTR® robust reporting allows hospital executives to prove their excellence with real data. Managers can easily view broad metrics and trends or drill down into the details like which caregivers were actually in a room at any given time.